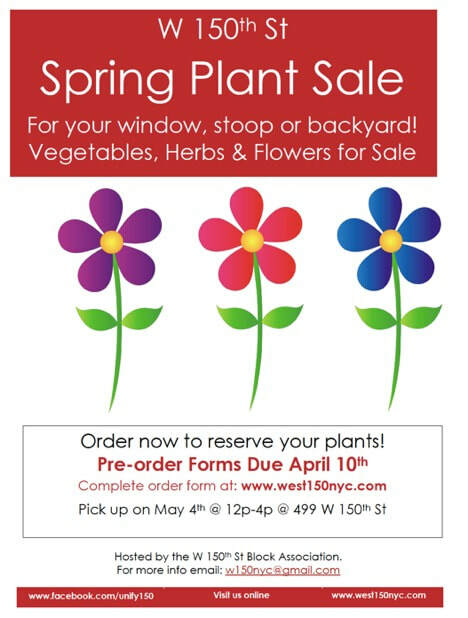 CLICK TO ORDER YOUR PLANTS NOW! planting flowers in tree beds, cleaning trash, mulching and preparing trees for Spring! Volunteers needed on May 4th & 5th! Rain days and cold months: SDA City Tabernacle Church- 562 W 150th St.
Volunteer for the Friendship Garden 2019 Season!